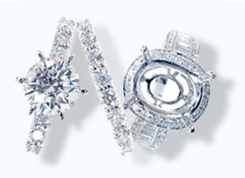 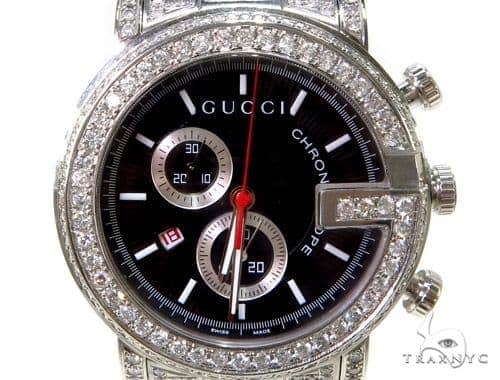 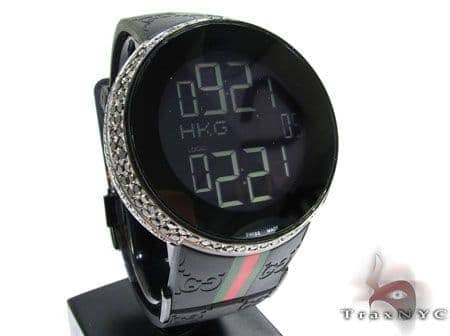 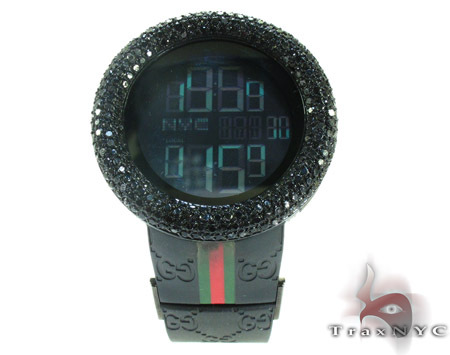 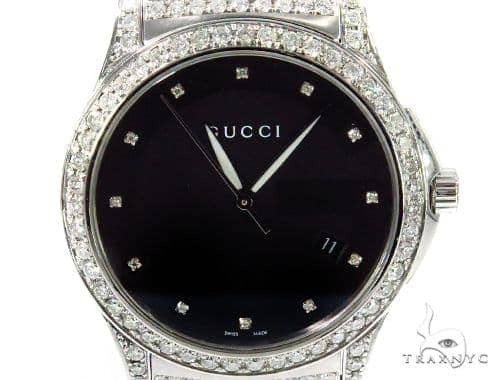 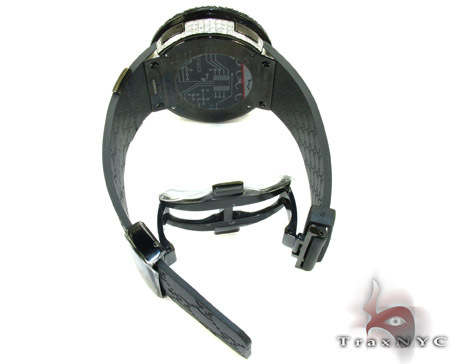 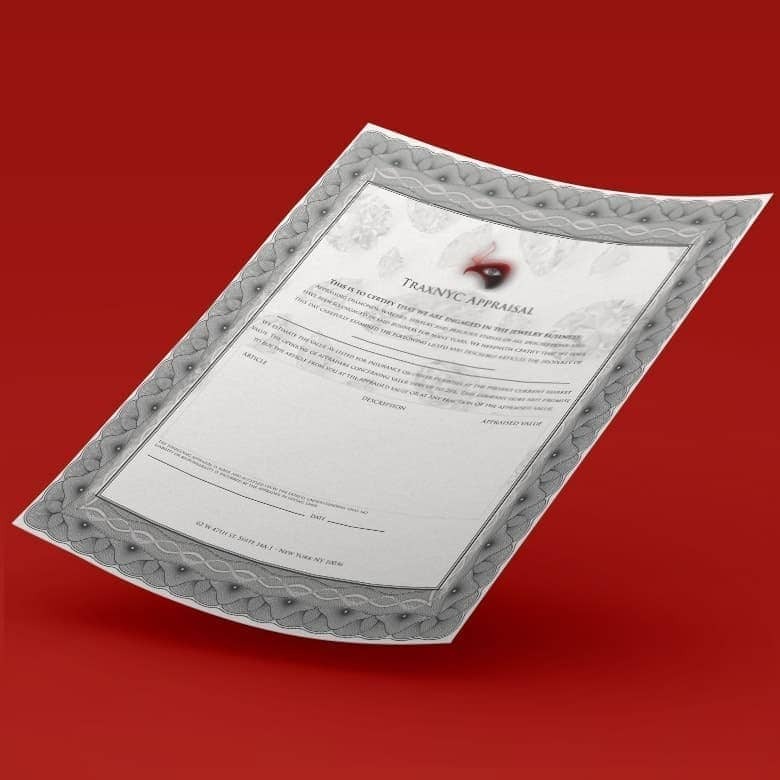 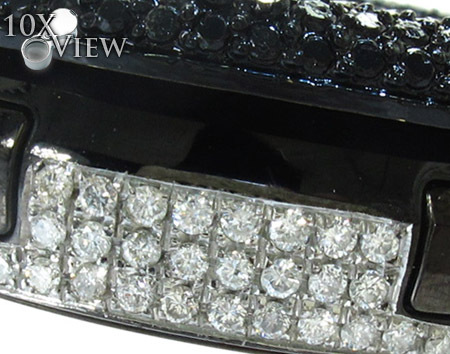 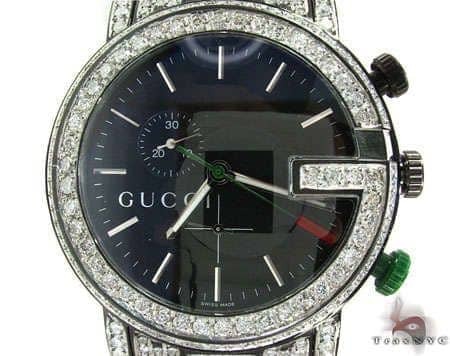 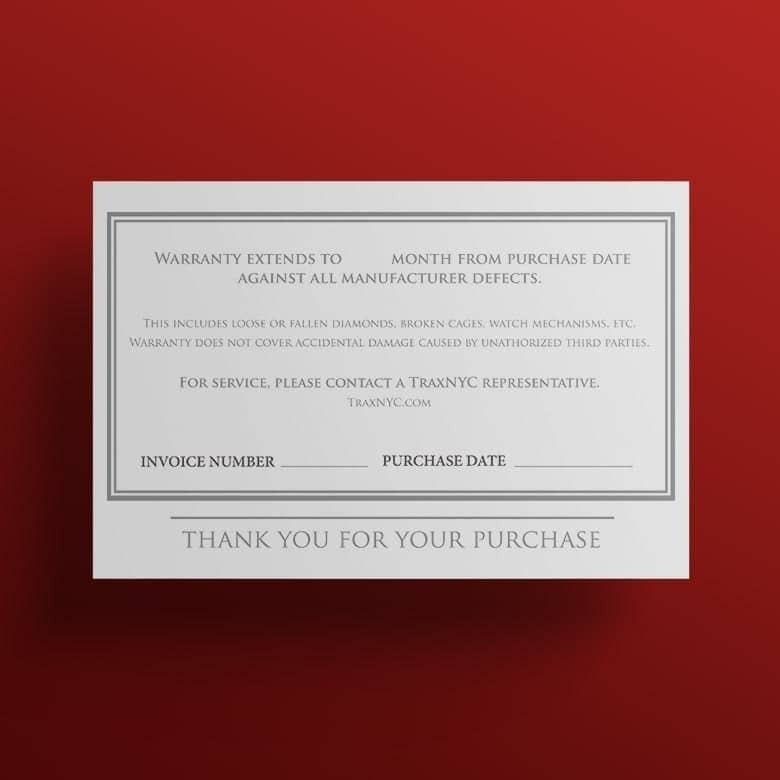 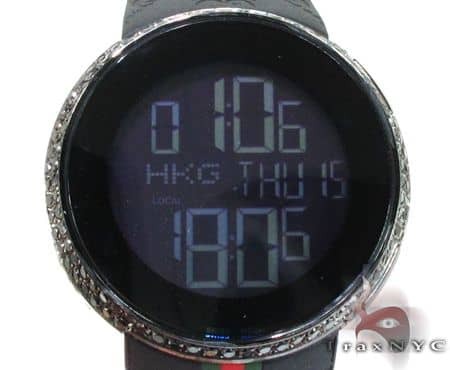 Once you own a piece of fine diamond jewelry from TraxNYC, or indeed any piece from our wider collection, you will know there is no need to go through the hassle of shopping at any other jewelry store ever again!The SI1, AAA quality of the diamonds in this Watch will amaze you and all of your family and friends to boot. 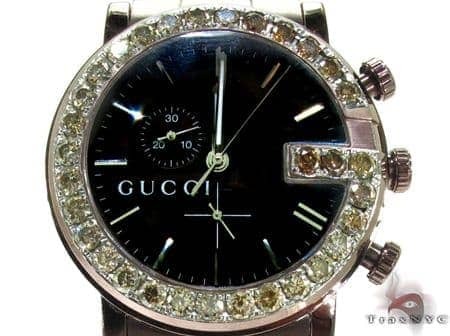 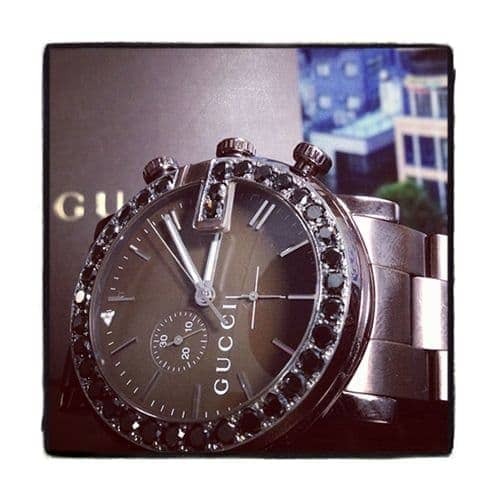 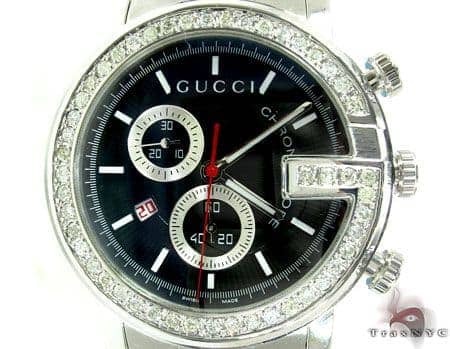 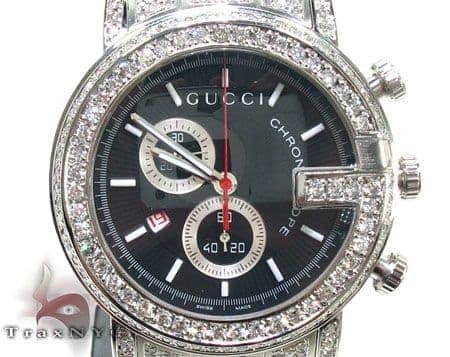 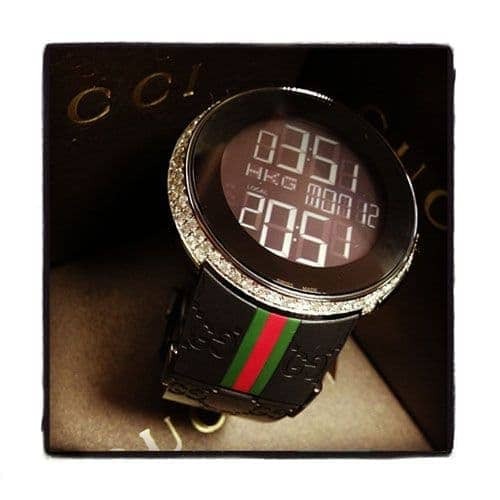 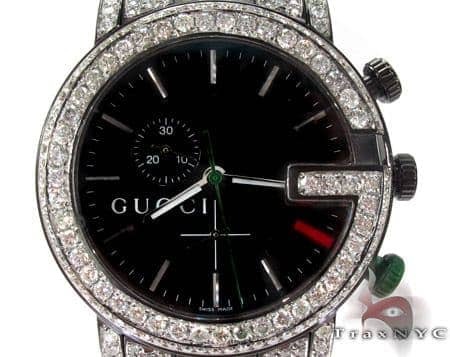 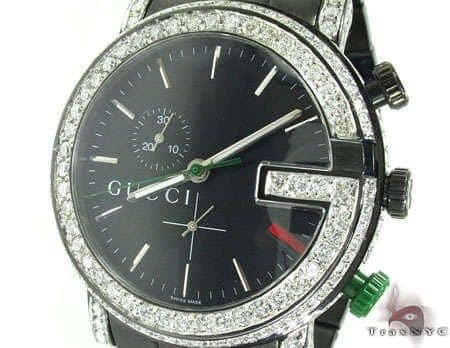 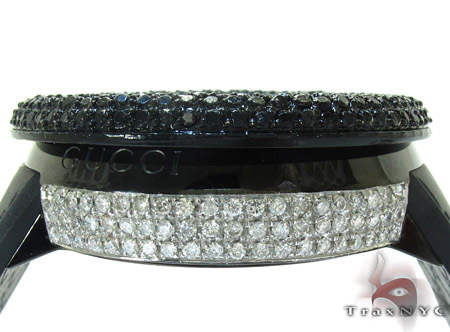 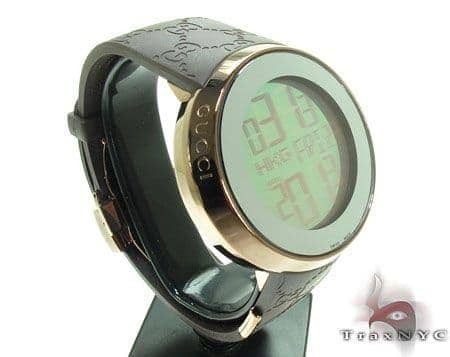 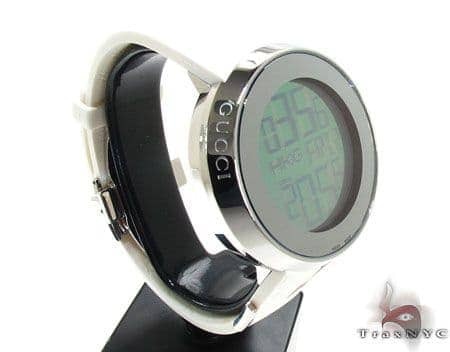 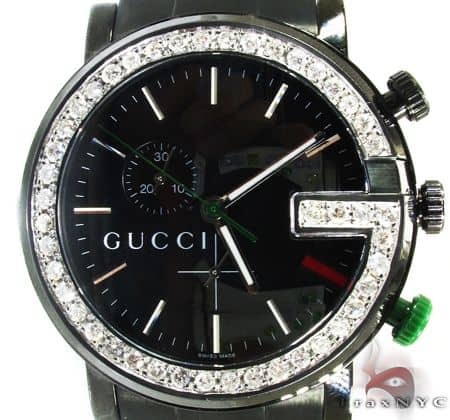 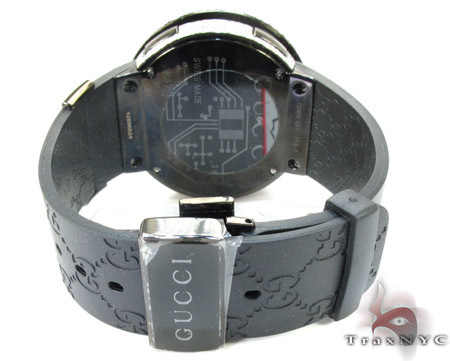 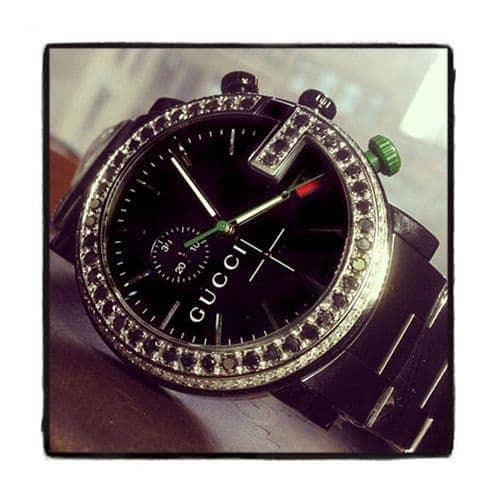 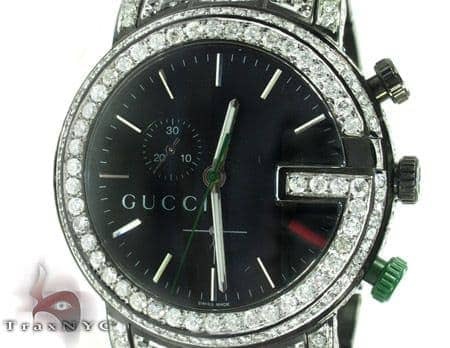 One of our finest and most popular Gucci, you can't go wrong with this great piece. 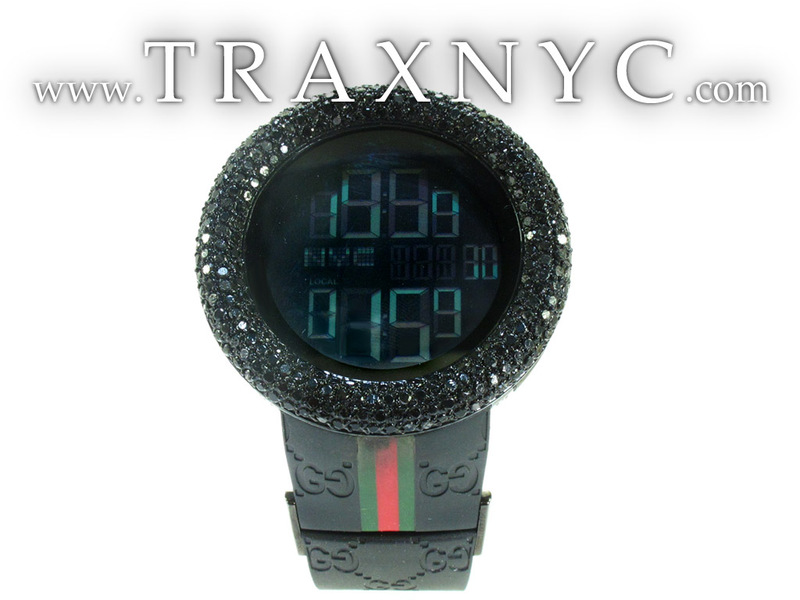 TraxNYC brings you all of the latest, greatest pieces, every time. 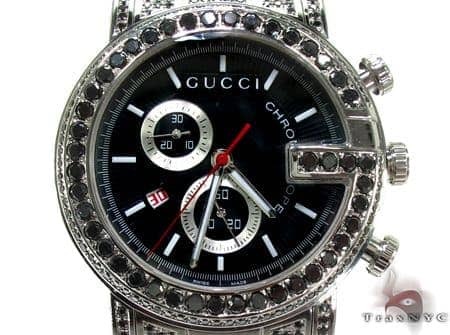 Part of our Gucci line. 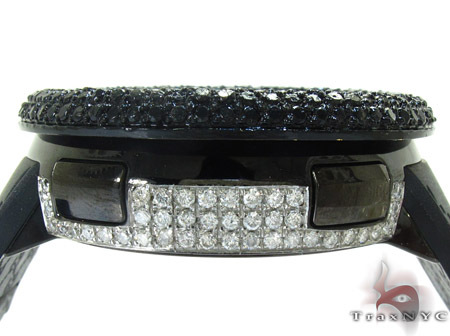 With an iced out look in a Pave setting, and an exceptionally fine finish all round. 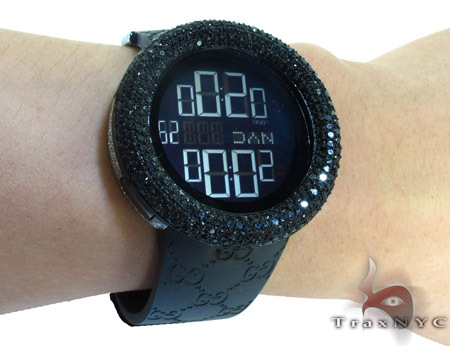 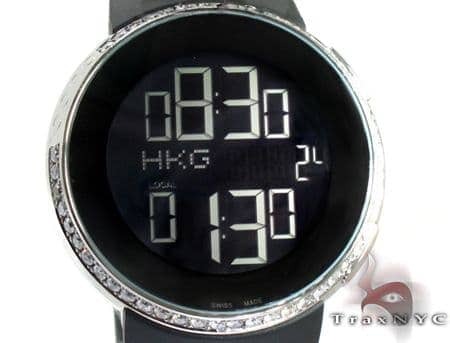 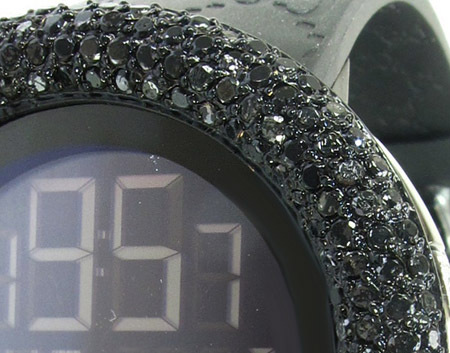 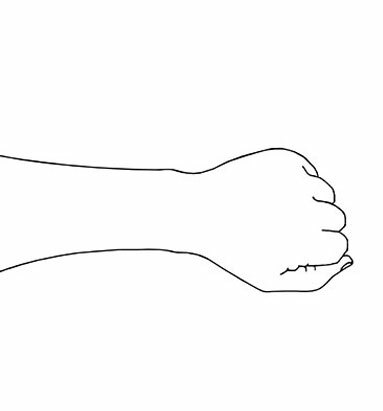 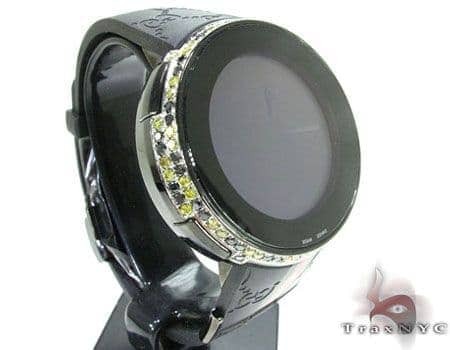 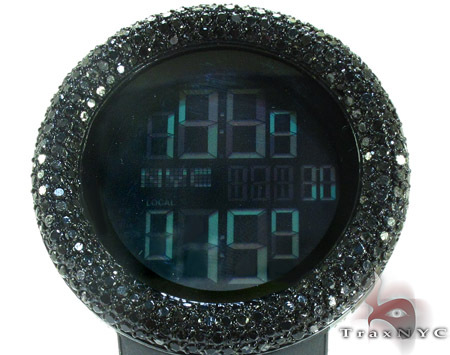 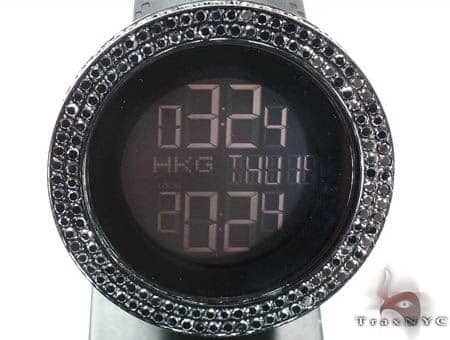 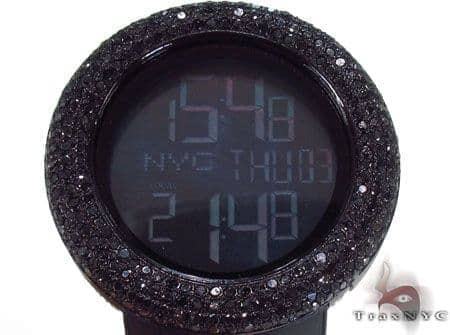 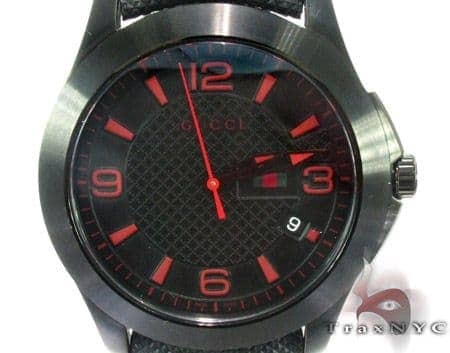 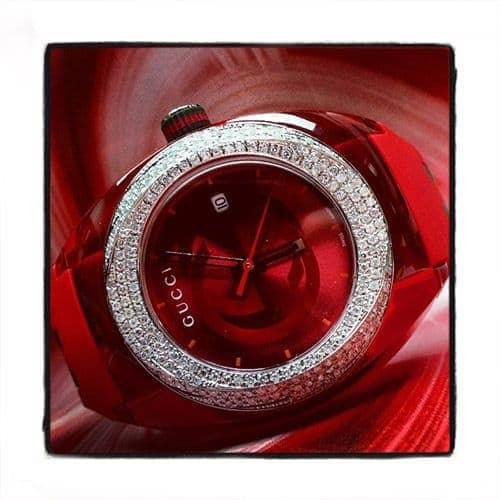 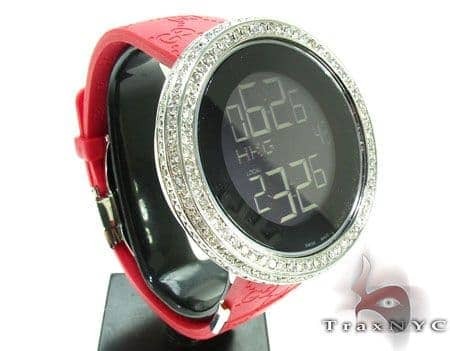 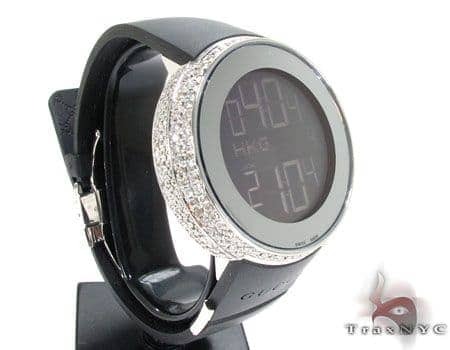 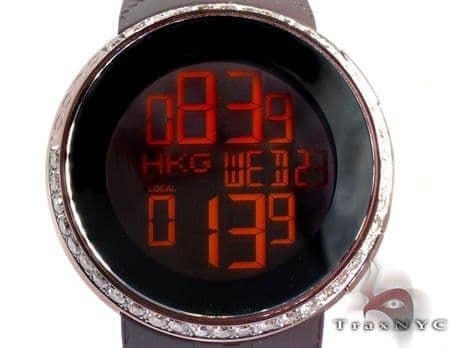 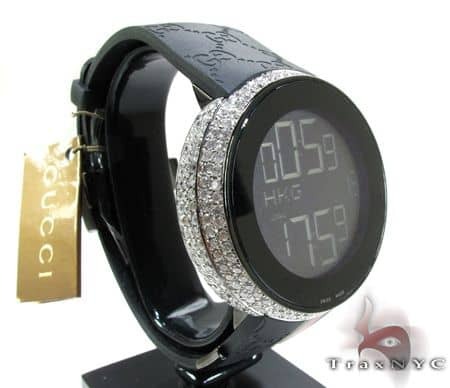 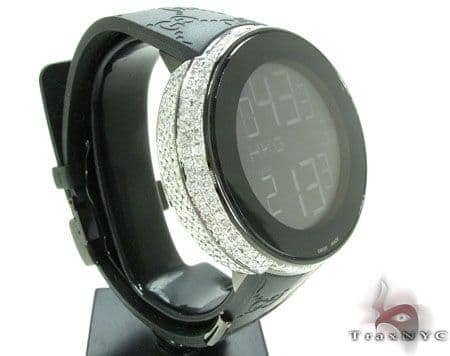 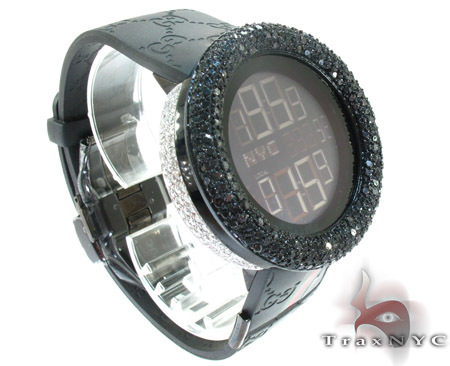 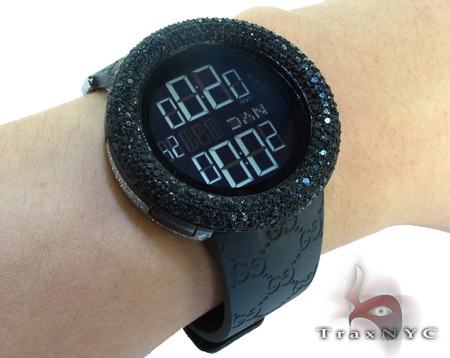 This Watch will make you shine like nothing else ever could. 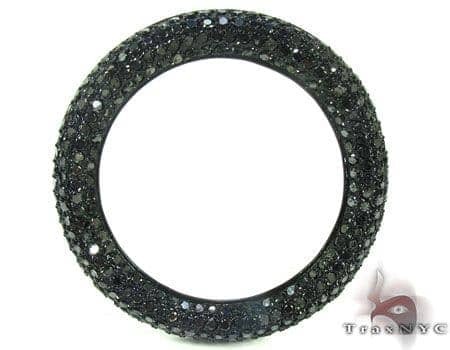 Black Gold is a type of gold used in jewelry. 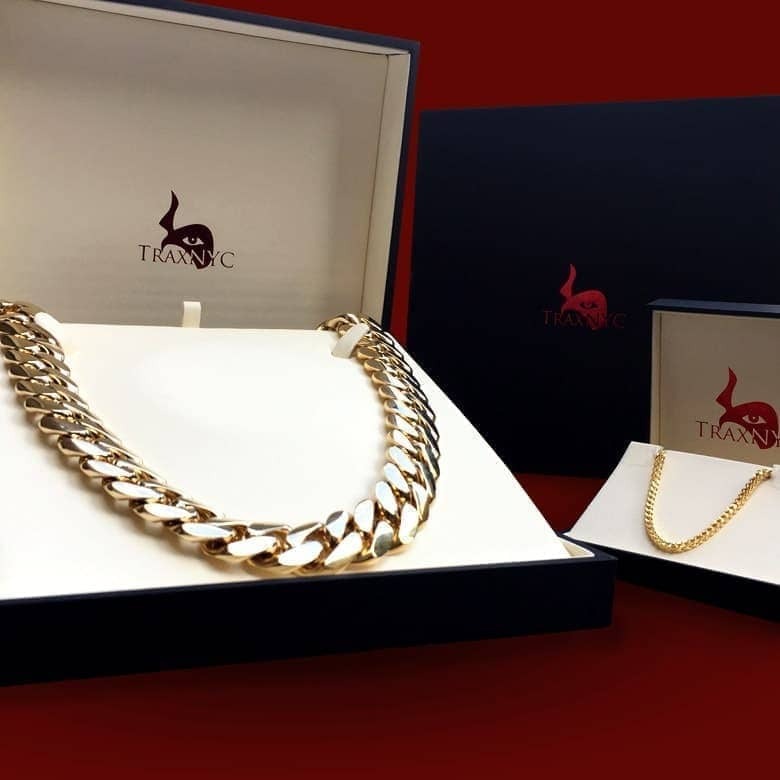 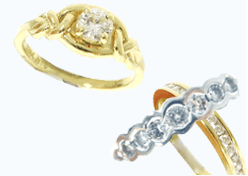 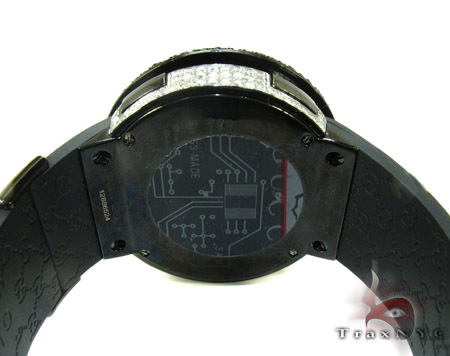 Black Gold sold at TraxNYC is produced by the non-invasive process of electroplating, where black rhodium is used to give a black coating to the gold. 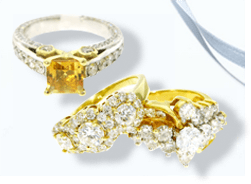 This process is reversible, so if you buy black gold it is possible to plate it with white or yellow gold in the future if you wish to do so.